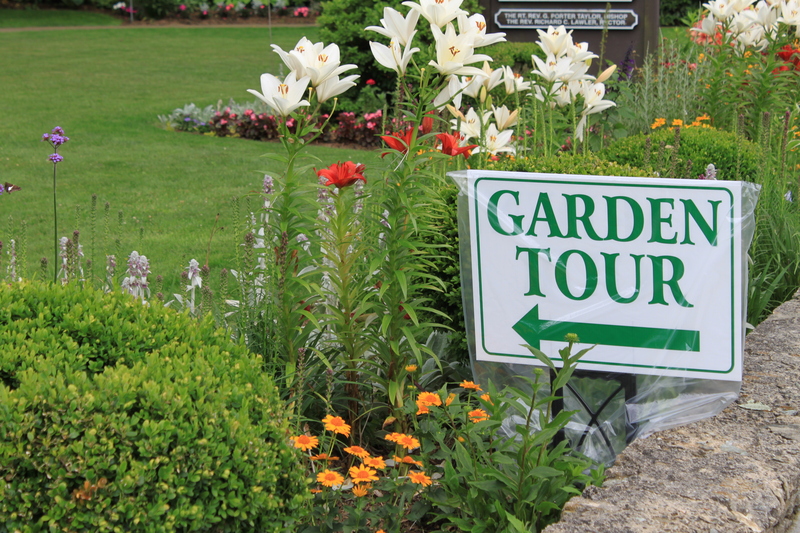 On Friday, June 28, the Blowing Rock Garden Club will host its sixth bi-annual Mile of Flowers, giving participants a chance to explore several public and private gardens in downtown Blowing Rock. The event will begin at 9:30 a.m. at the Memorial Park Gazebo and end at 4 p.m. 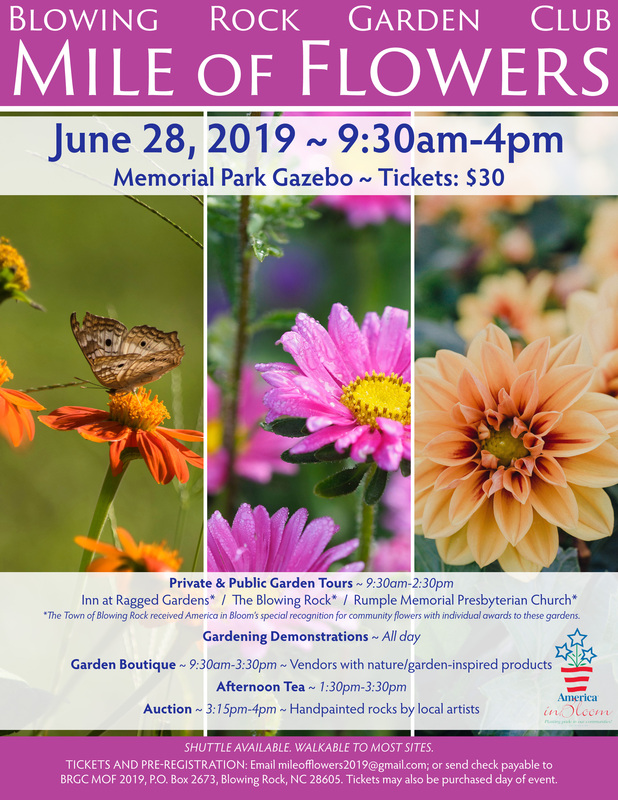 In addition to the garden tours, there will be gardening demonstrations at various locations throughout the day, and a boutique in the fellowship hall of Rumple Memorial Presbyterian Church with a variety of vendors offering plants, and garden and nature themed products. An afternoon tea will be held in the American Legion building and, later, handpainted rocks by local artists will be offered at an auction. Proceeds from this auction are to be donated to Memorial Park’s sprinkler system fund. Last September, the town of Blowing Rock was recognized by the national, non-profit organization America in Bloom for its community flowers. The three private gardens on tour, Inn at Ragged Garden, The Blowing Rock, and Rumple Memorial Presbyterian Church, all received individual awards from America in Bloom. The all-inclusive cost for the event is $30. For tickets and pre-registration, email mileofflowers2019@gmail.com, or send check payable to BRGC MOF 2019, P.O. Box 2673, Blowing Rock, NC 28605. Checks should be mailed no later than June 20, 2019. Tickets may also be purchased the day of the event. Most sites are walkable, but a shuttle will be available. For more information, call 828-295-0901 or 770-301-4127. The Blowing Rock Garden Club is an all-volunteer, non-profit organization begun in 2001 to promote civic beauty, encourage the preservation of native plants and to provide education about environmentally sound gardening practices. Anyone who has been in Blowing Rock is familiar with their efforts; the Memorial Garden in front of Memorial Park on Main Street is lovingly maintained by the Blowing Rock Garden Club.